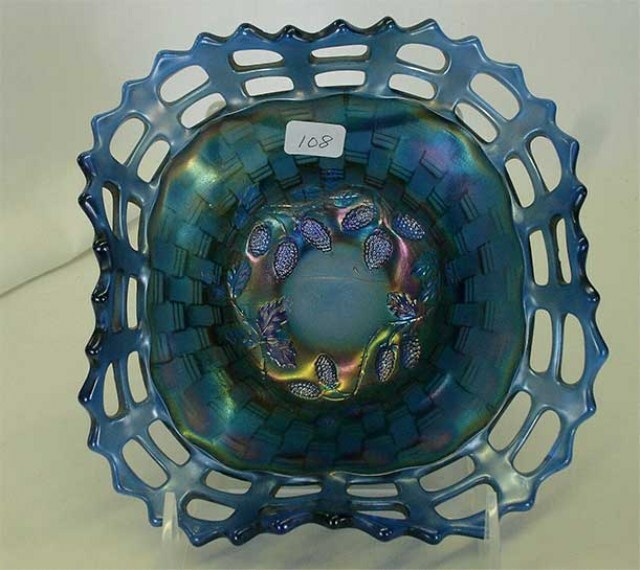 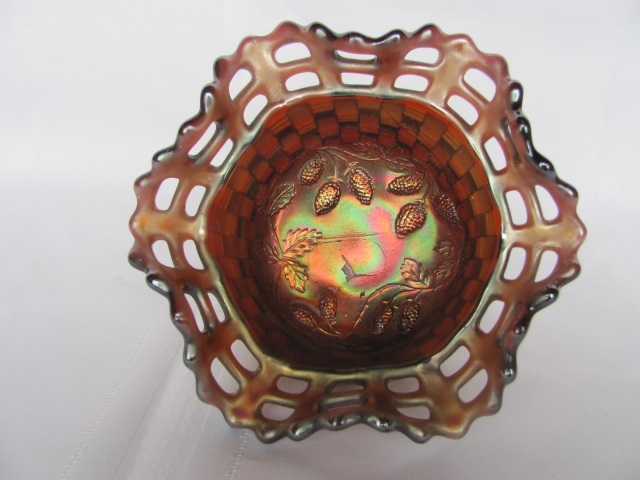 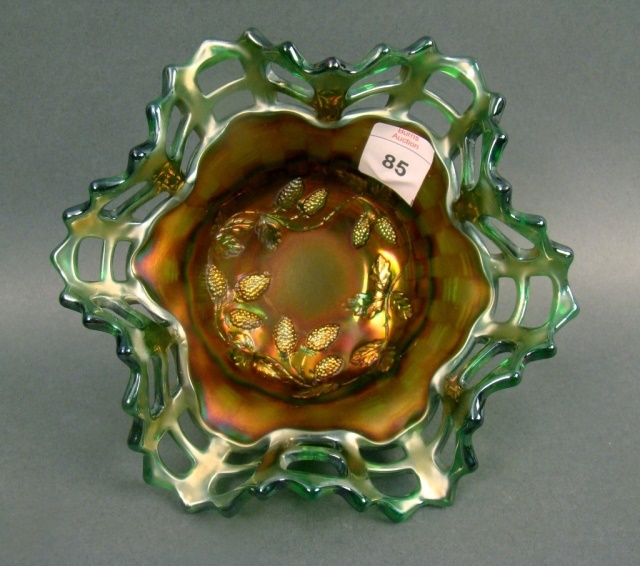 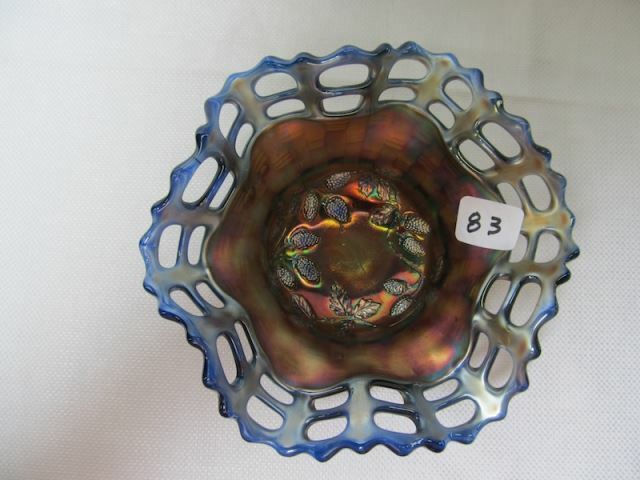 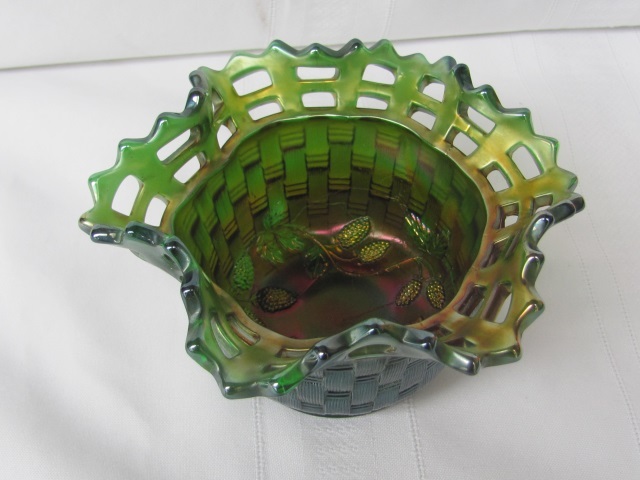 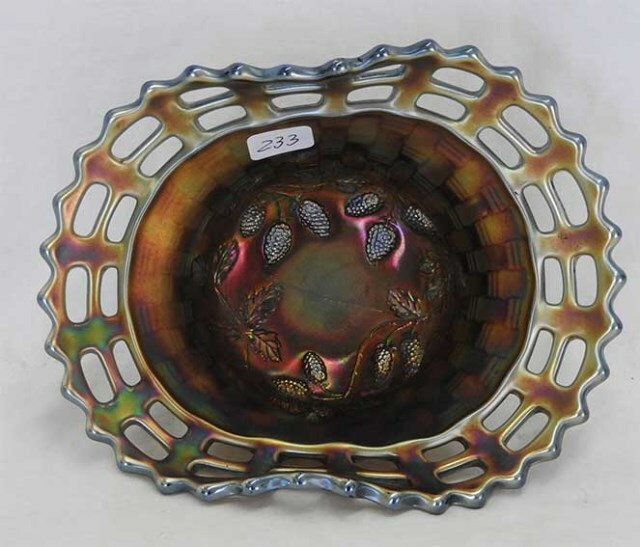 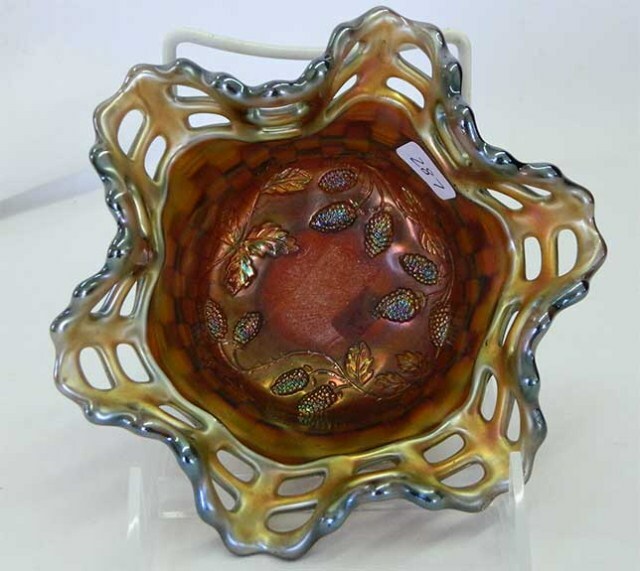 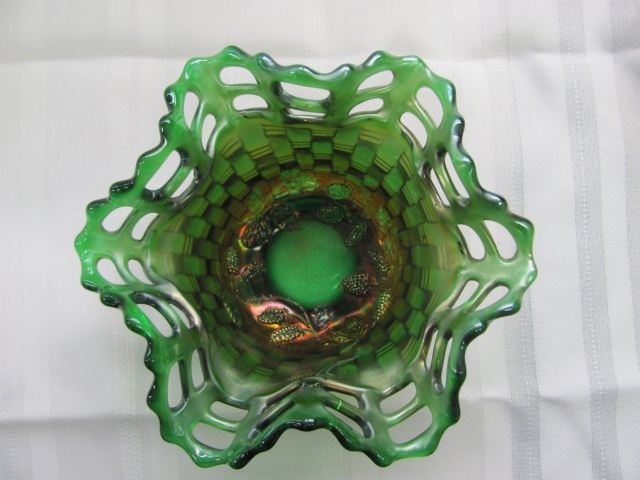 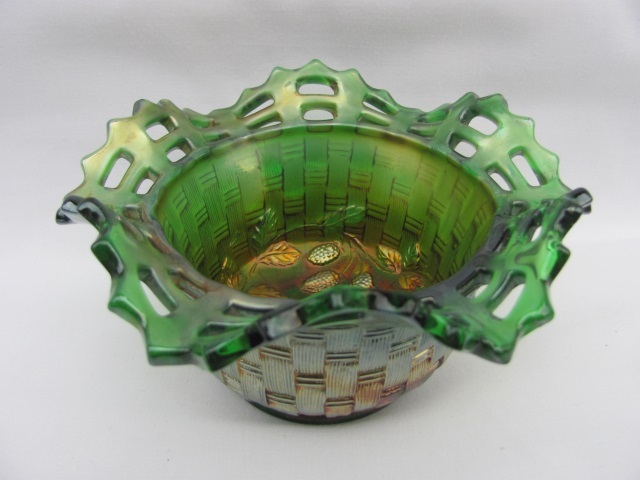 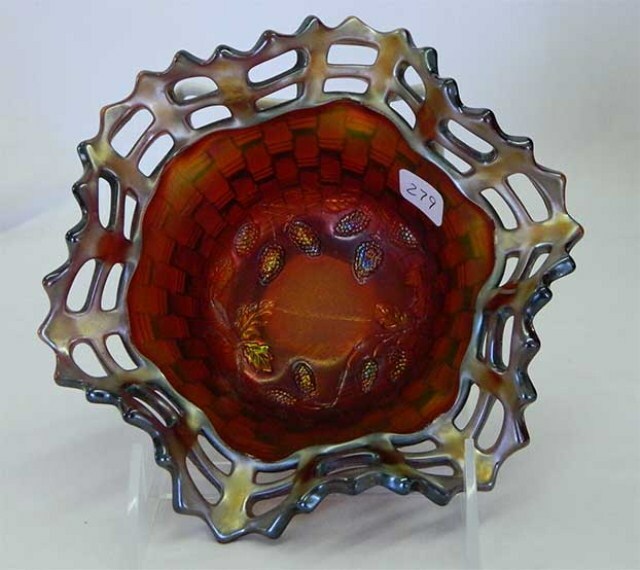 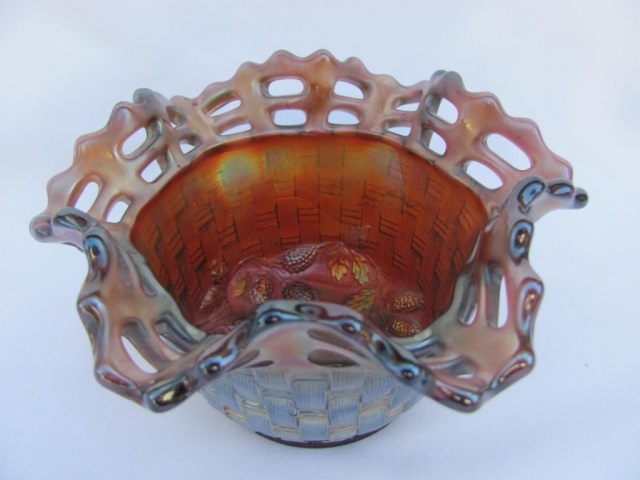 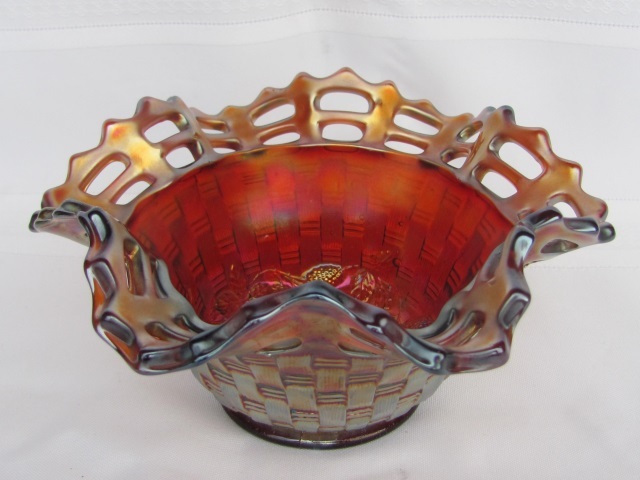 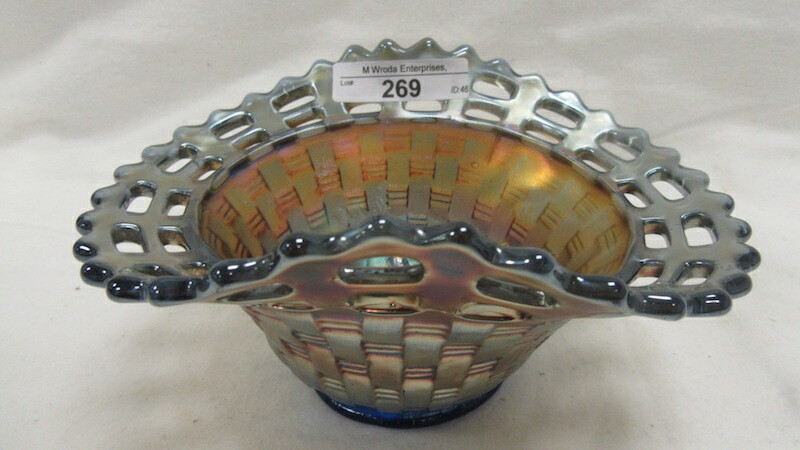 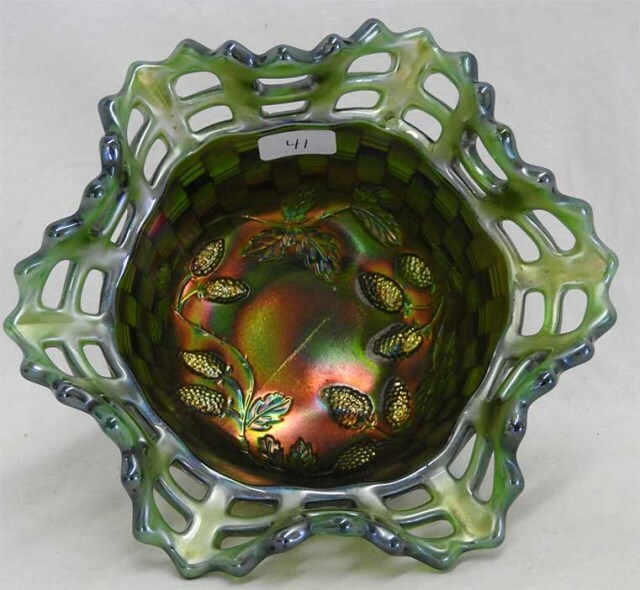 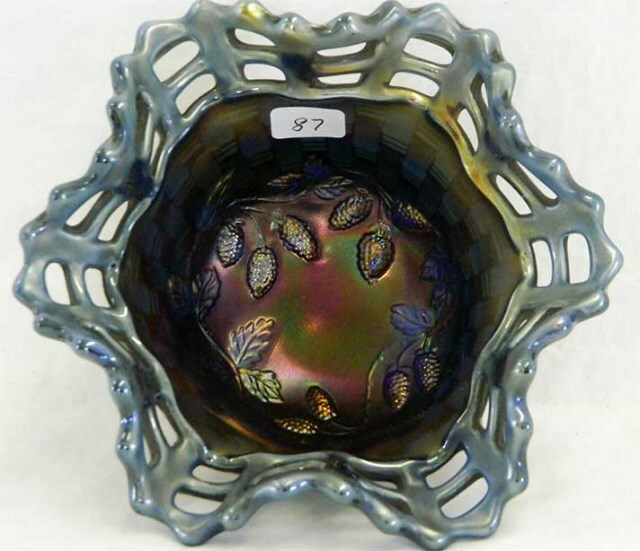 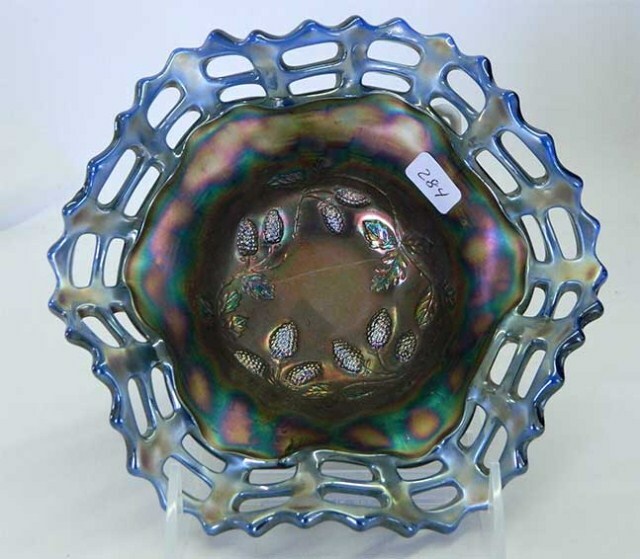 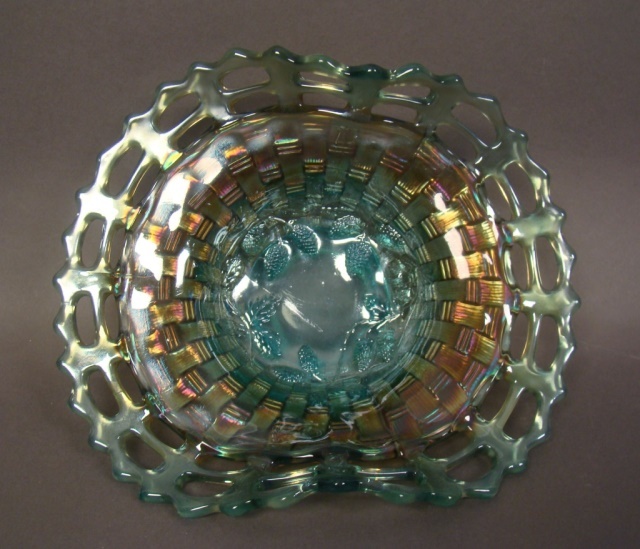 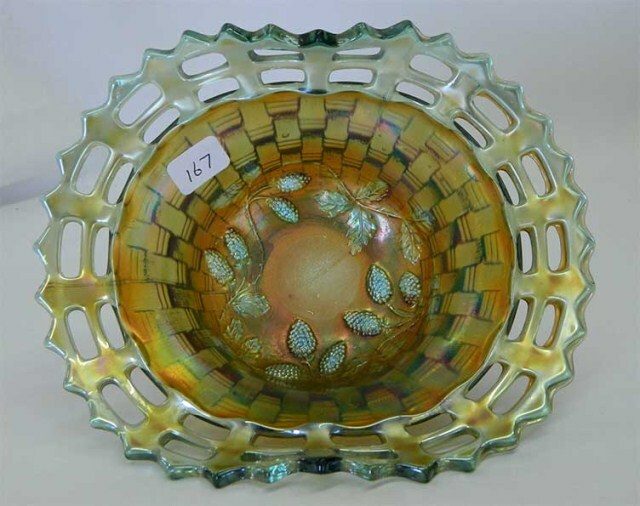 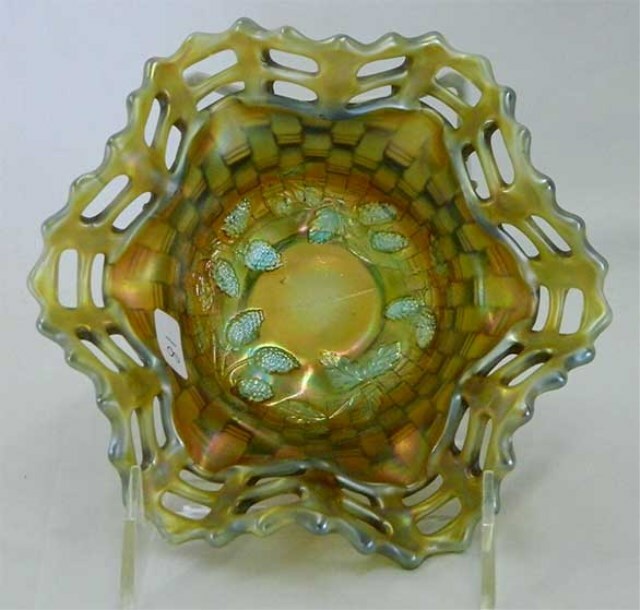 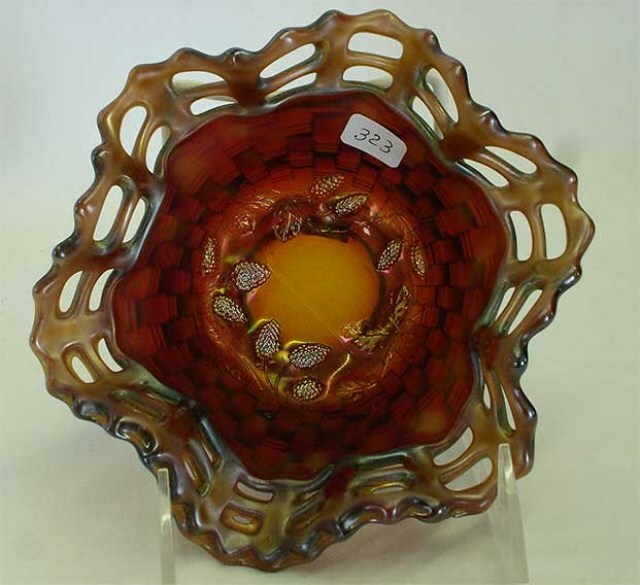 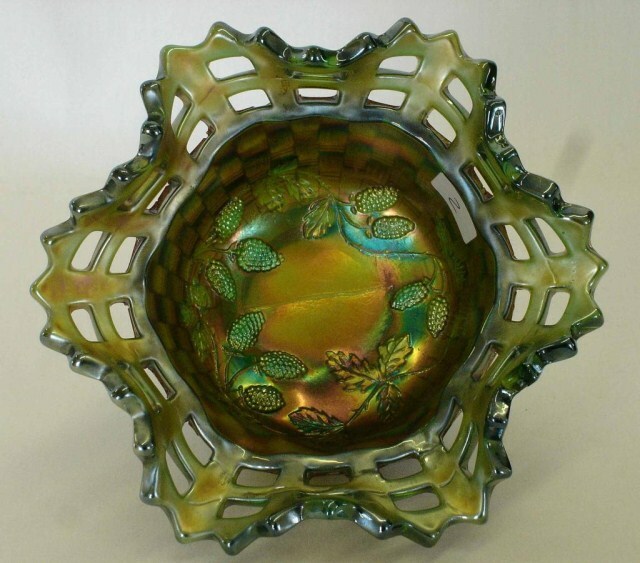 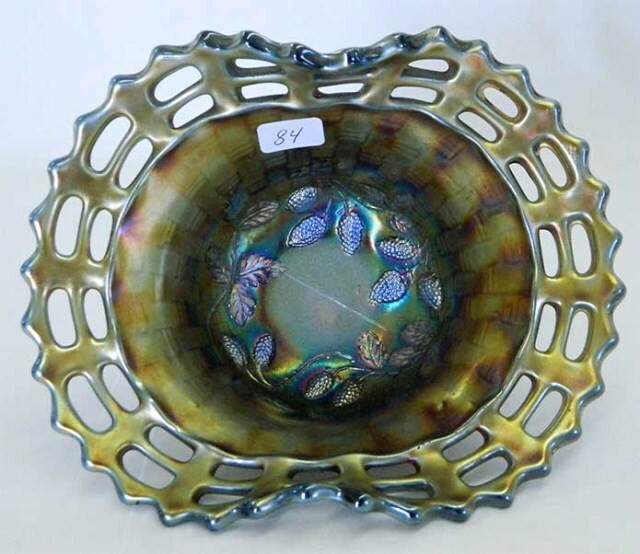 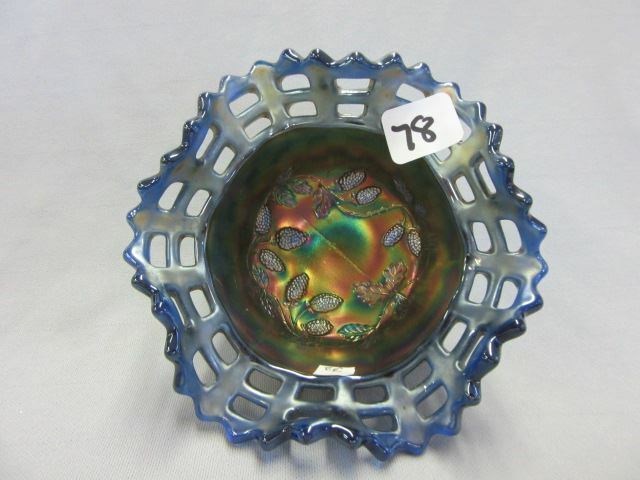 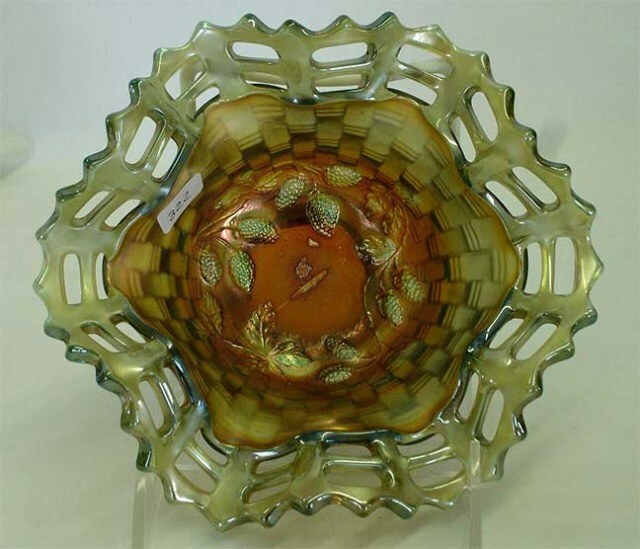 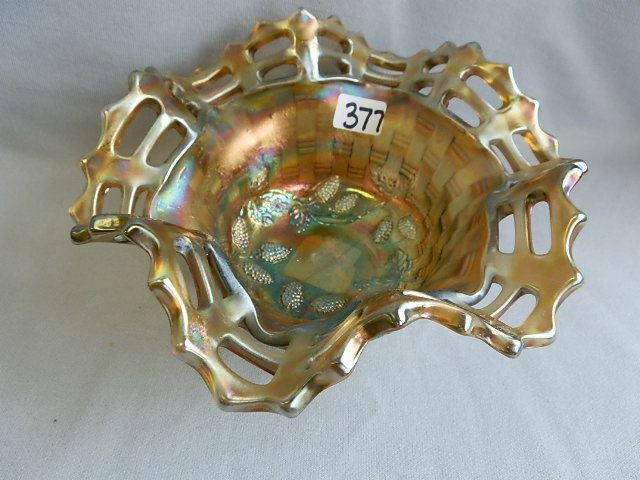 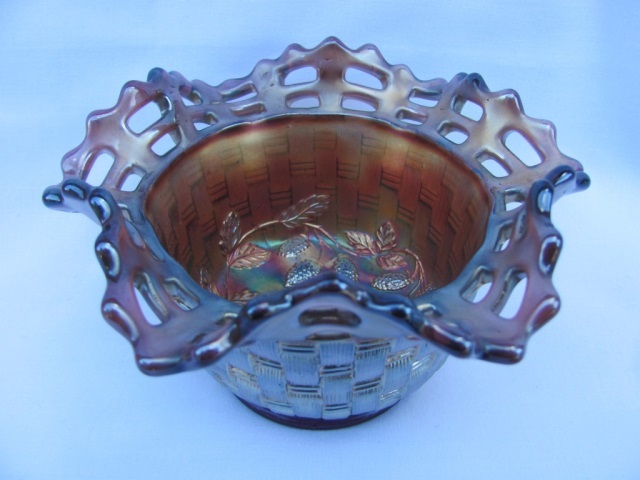 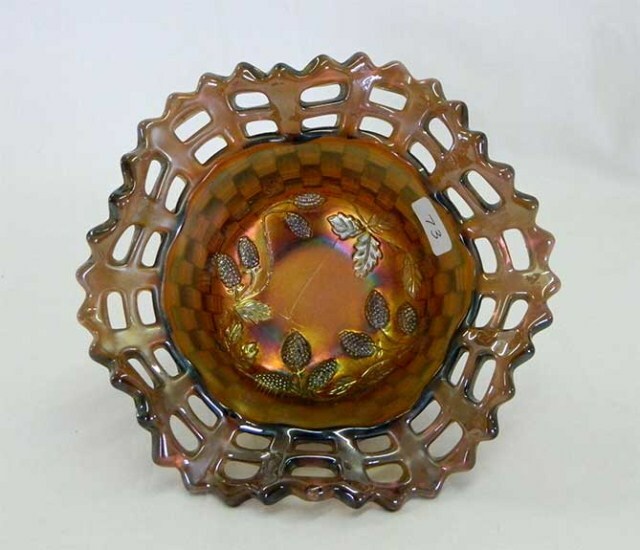 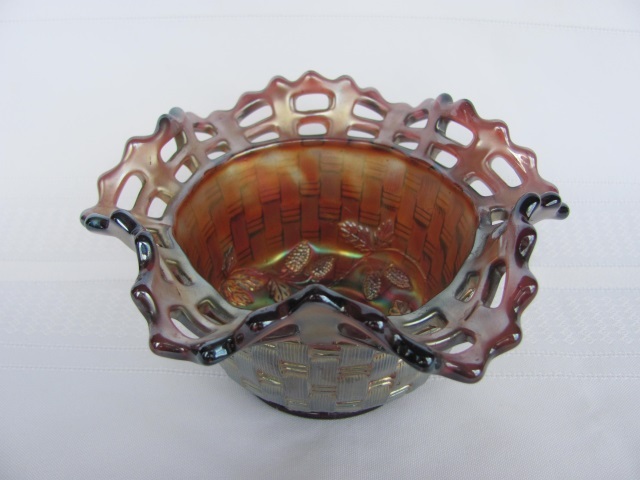 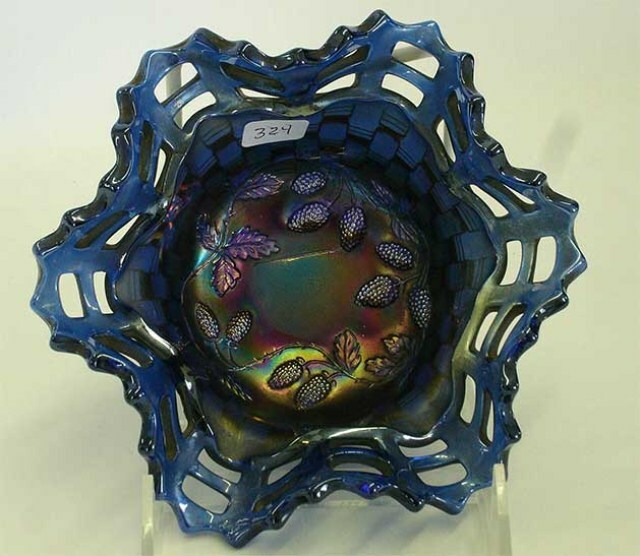 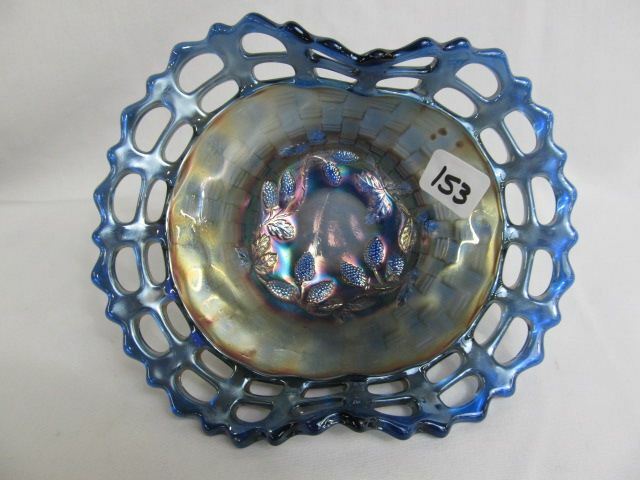 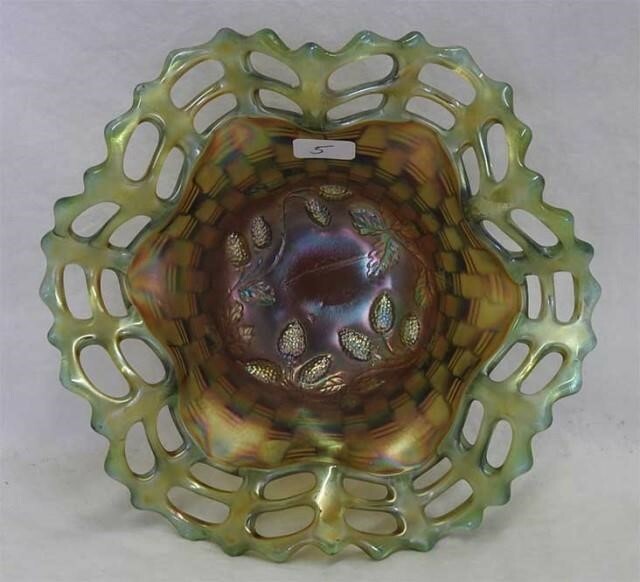 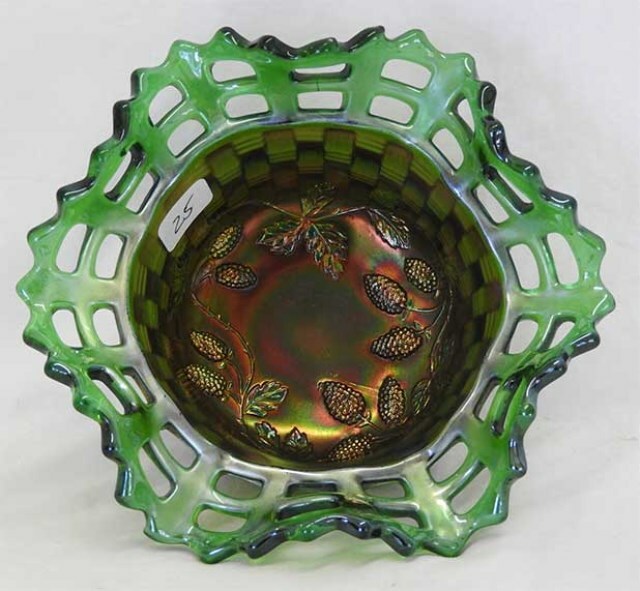 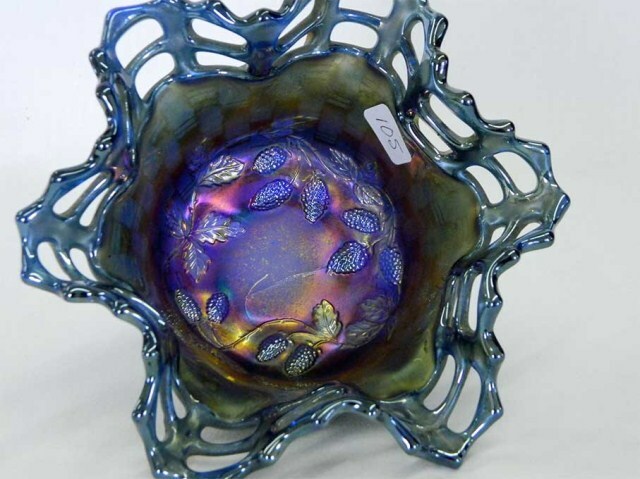 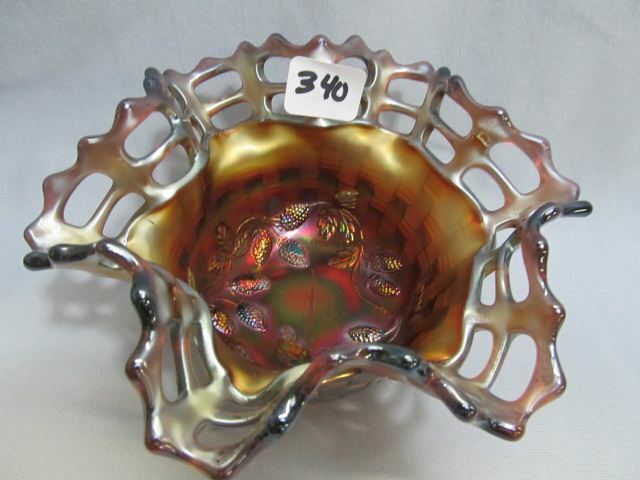 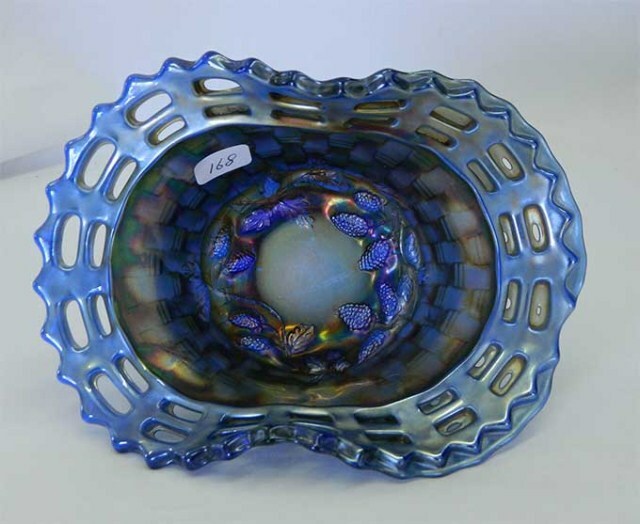 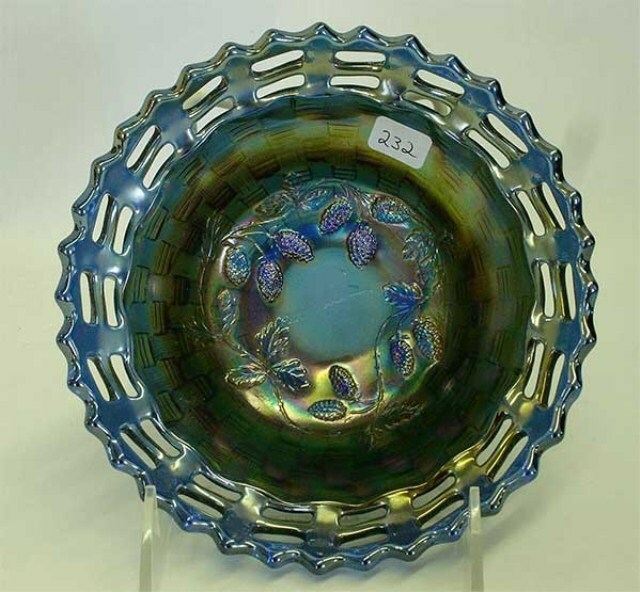 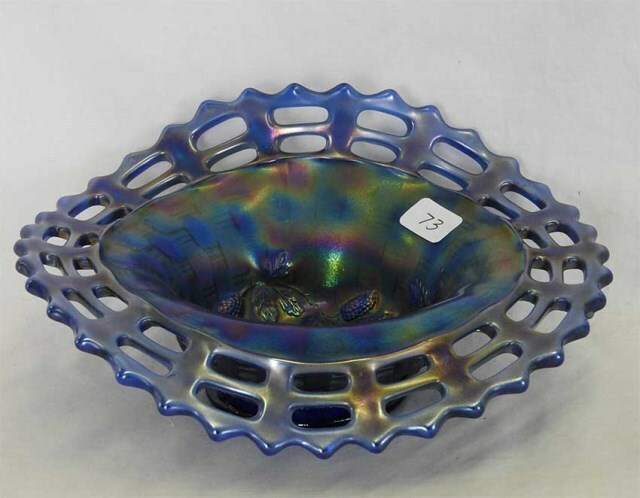 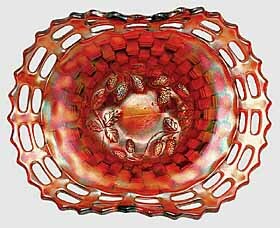 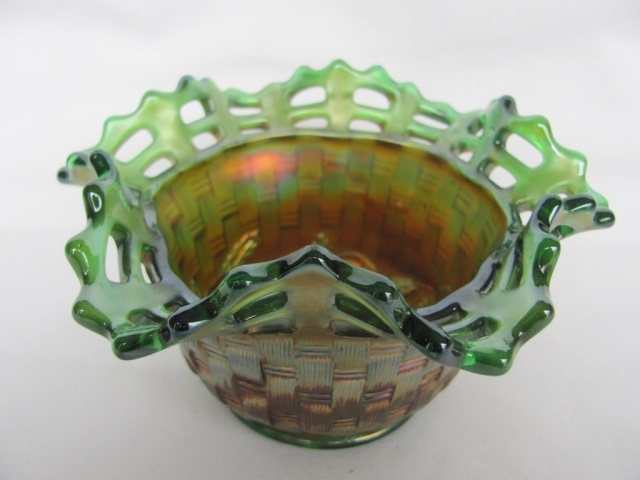 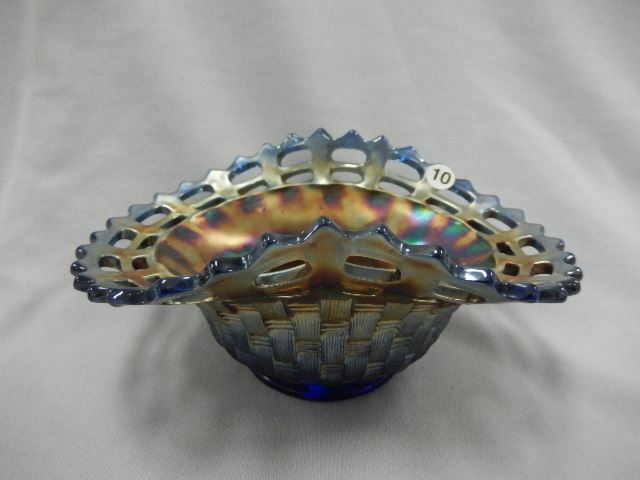 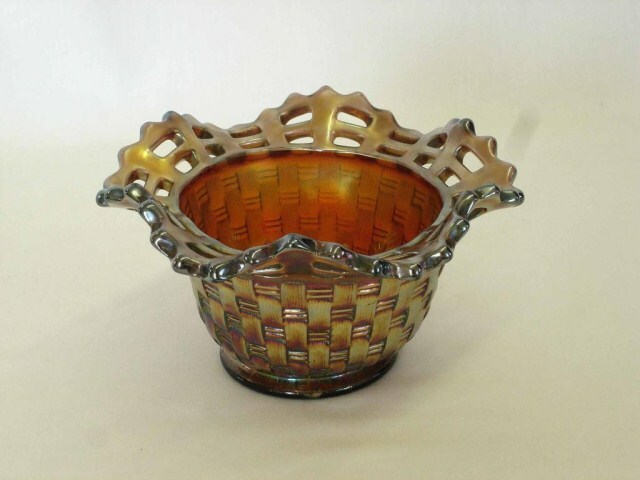 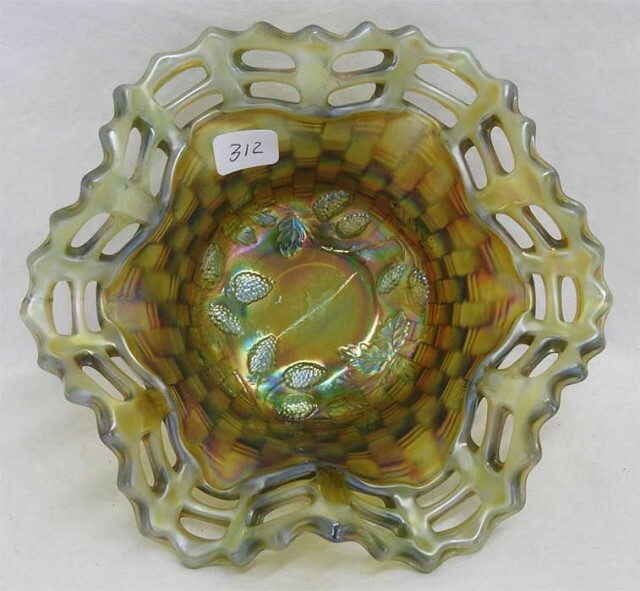 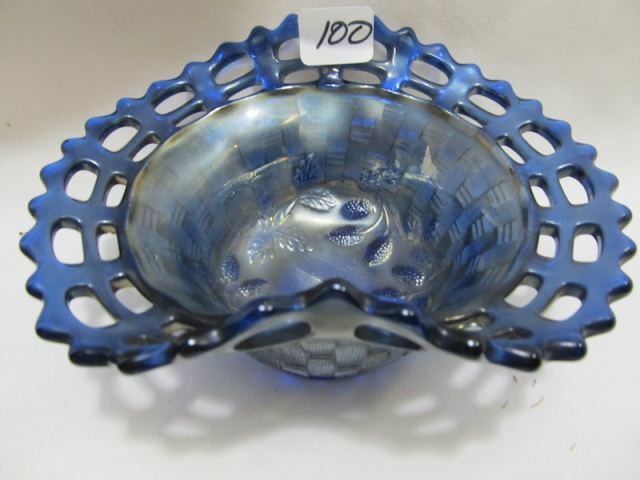 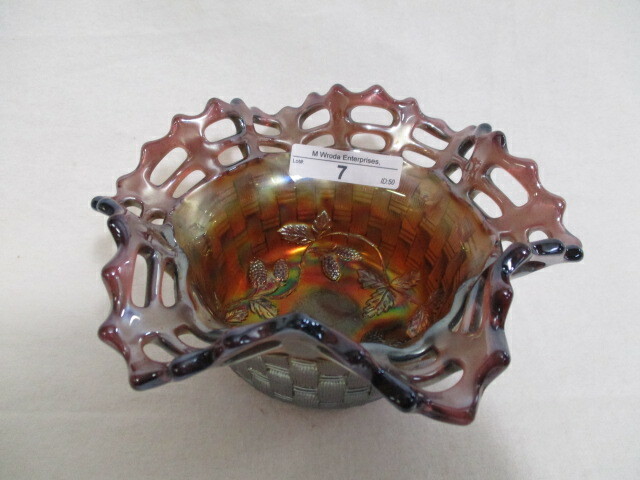 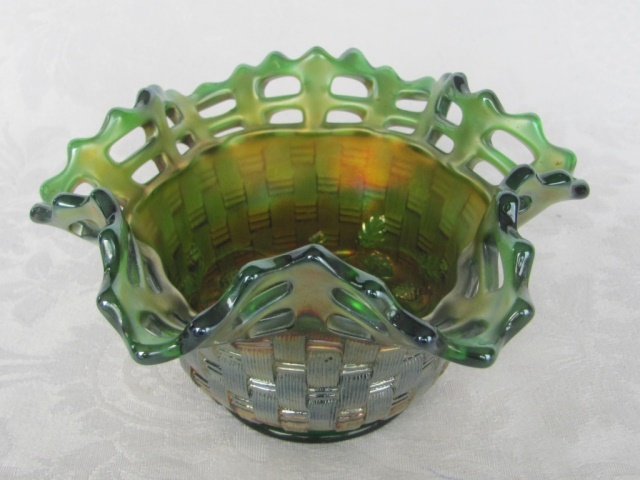 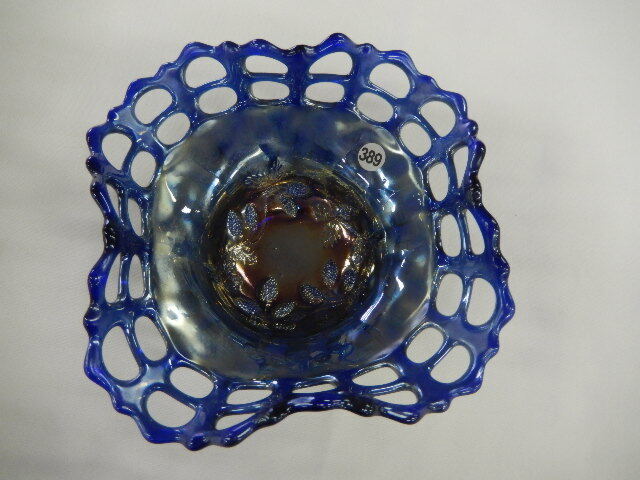 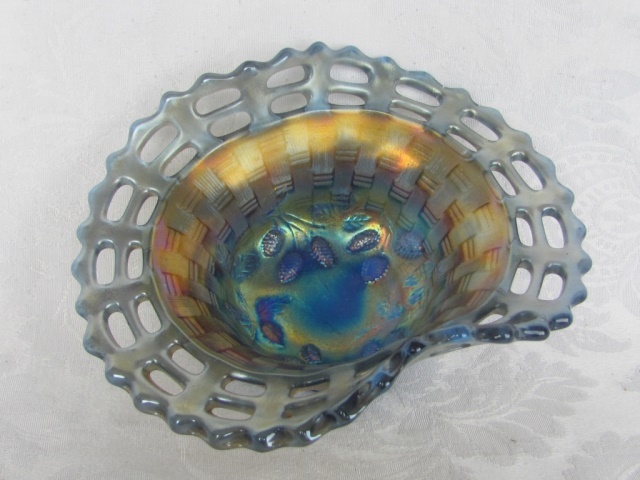 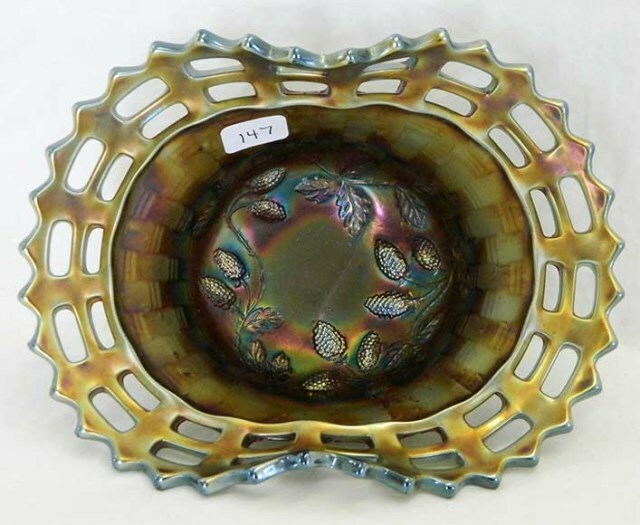 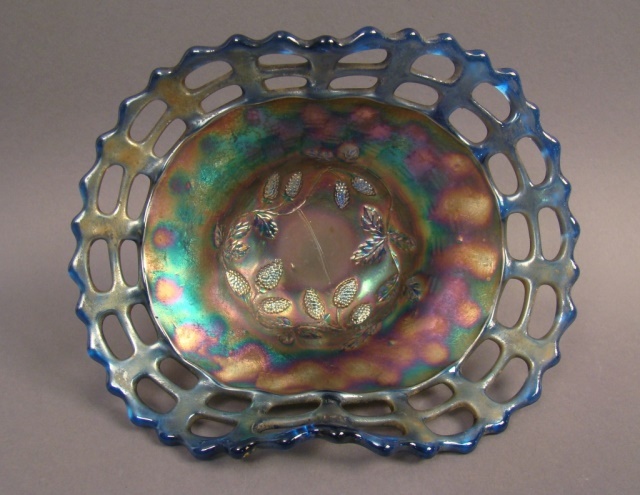 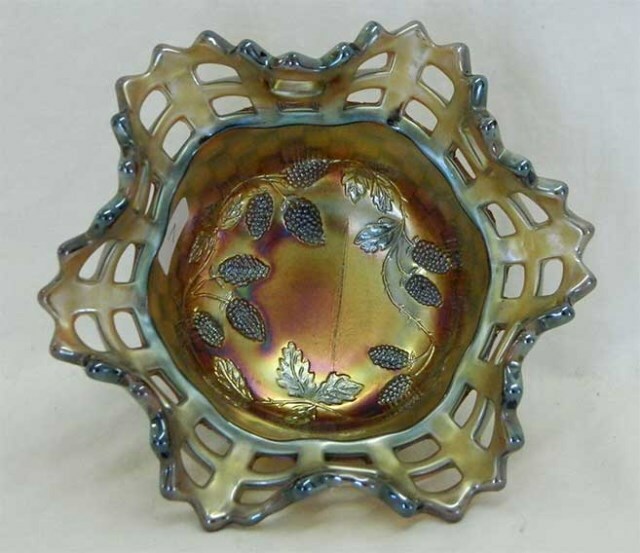 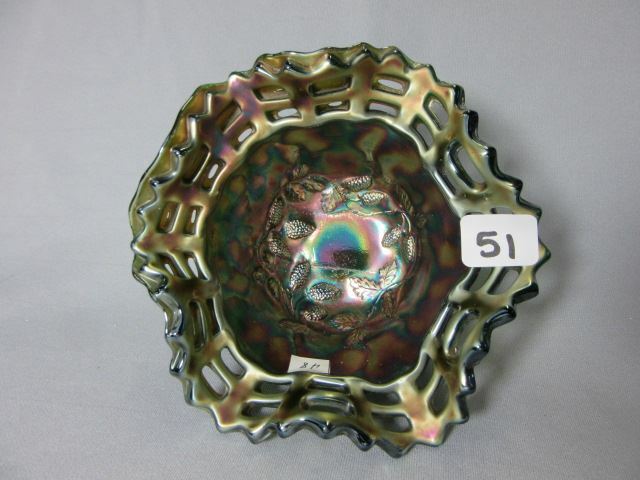 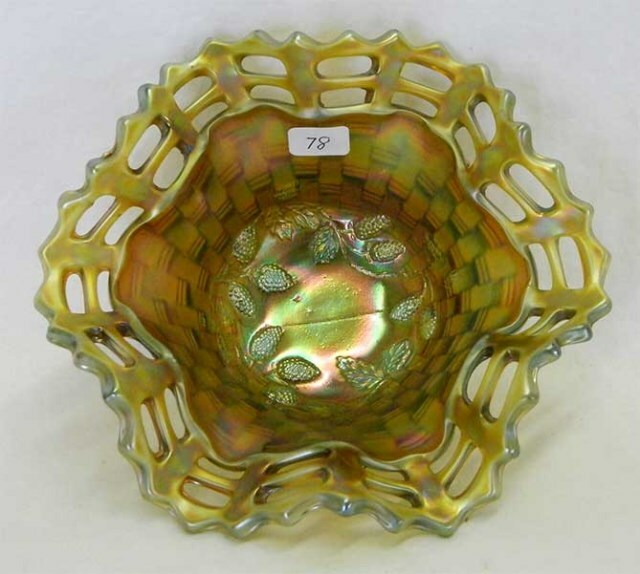 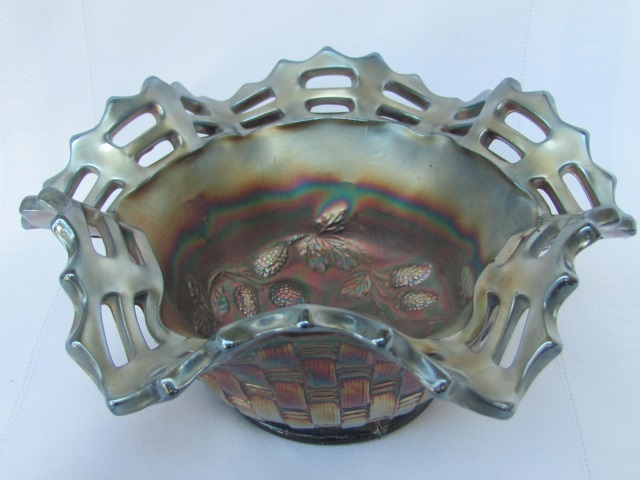 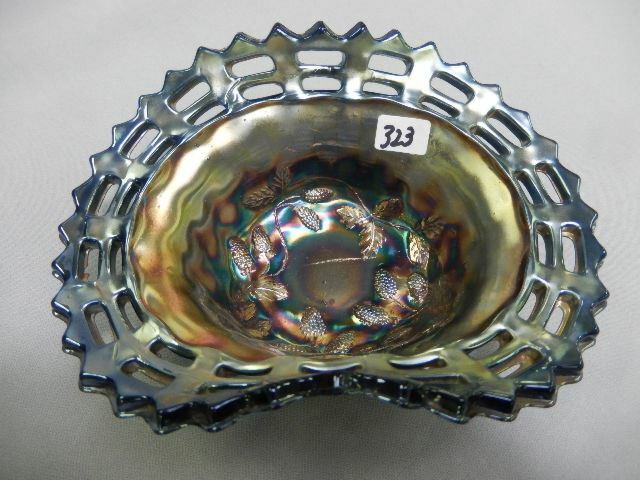 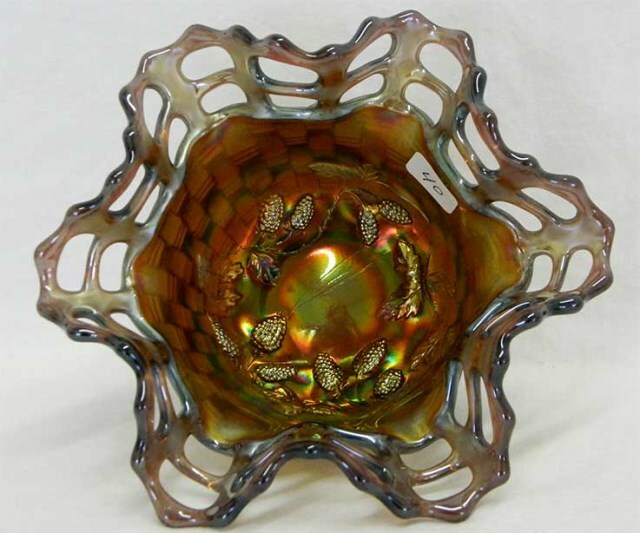 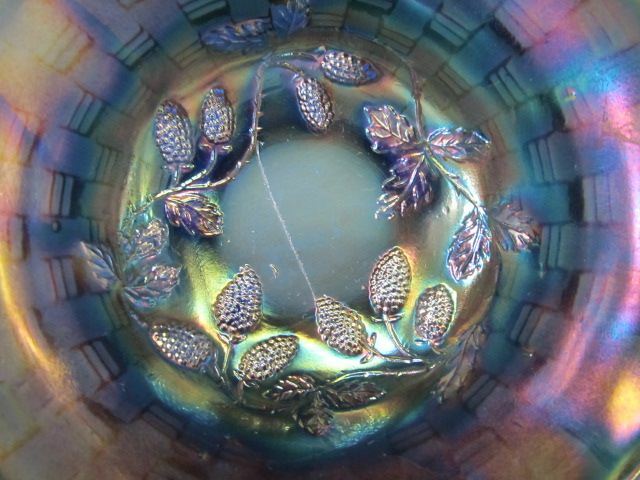 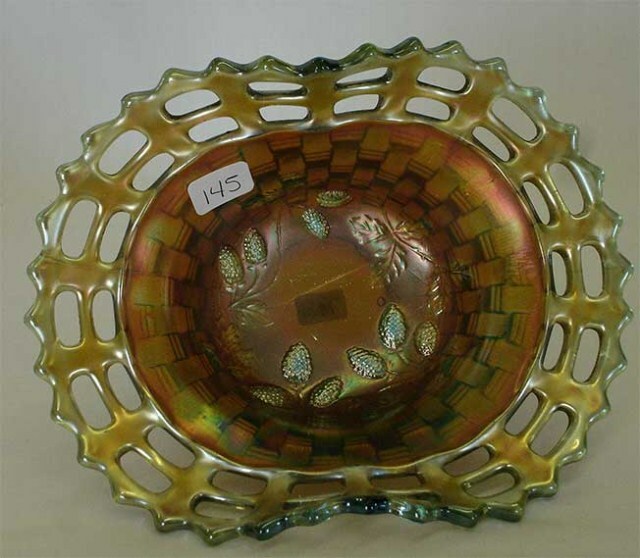 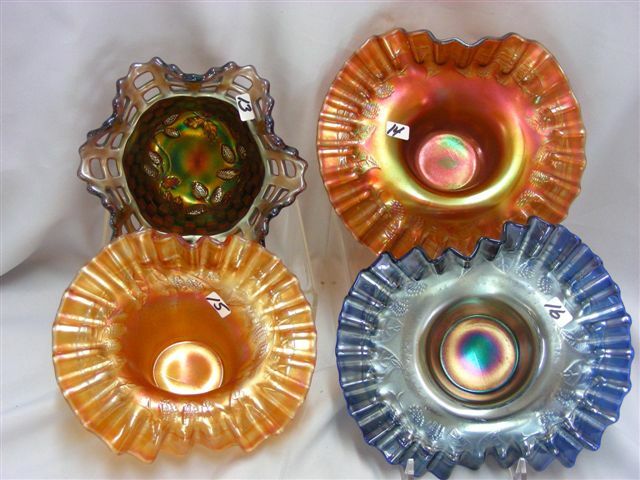 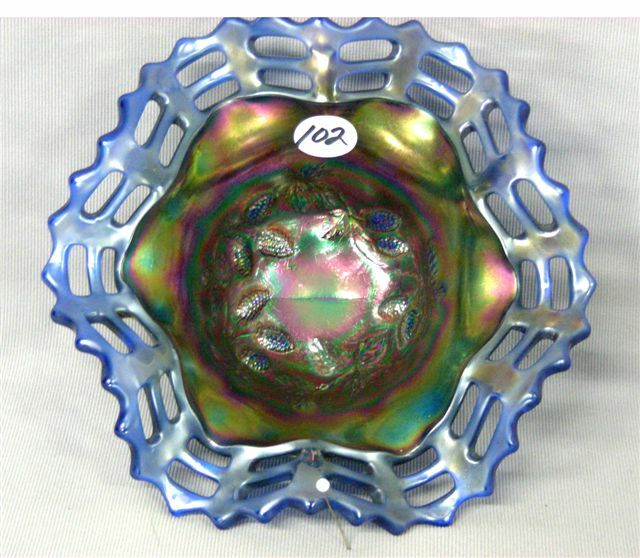 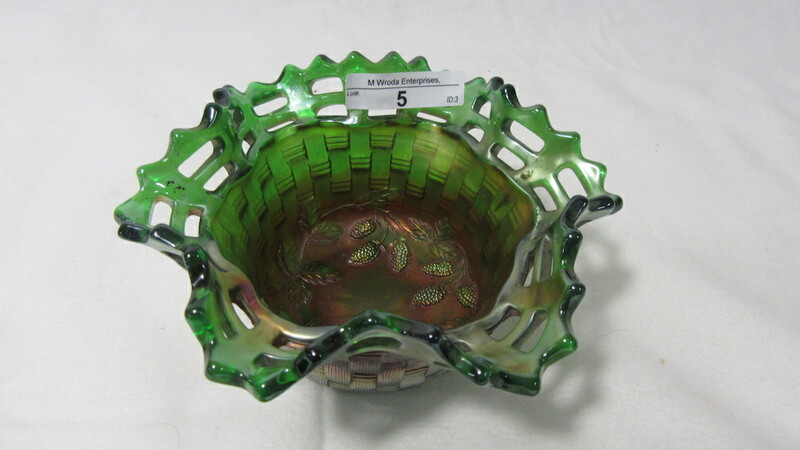 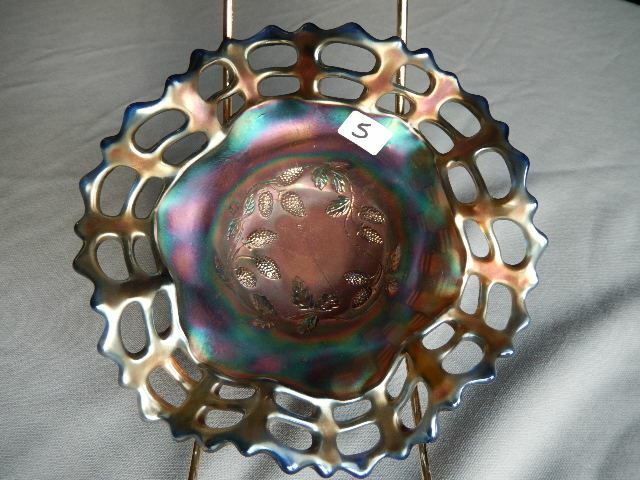 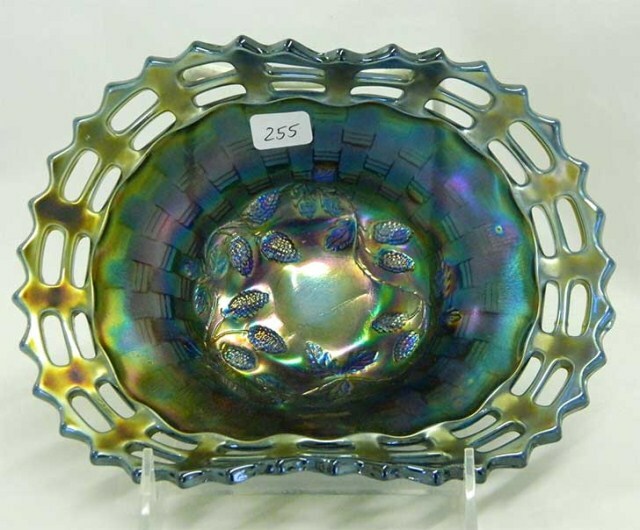 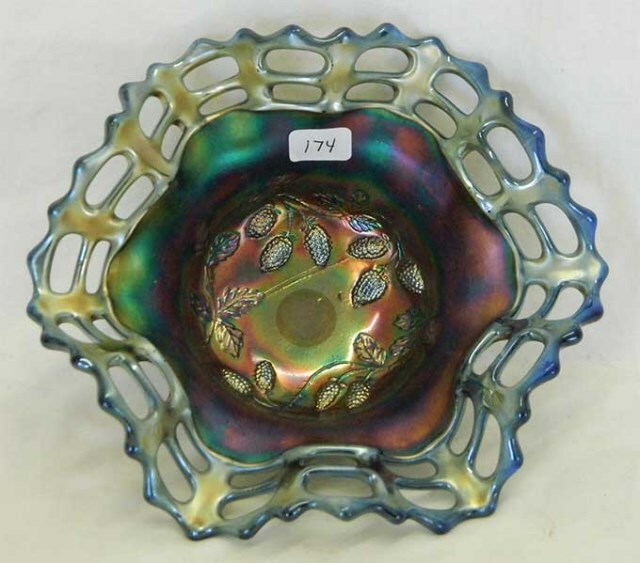 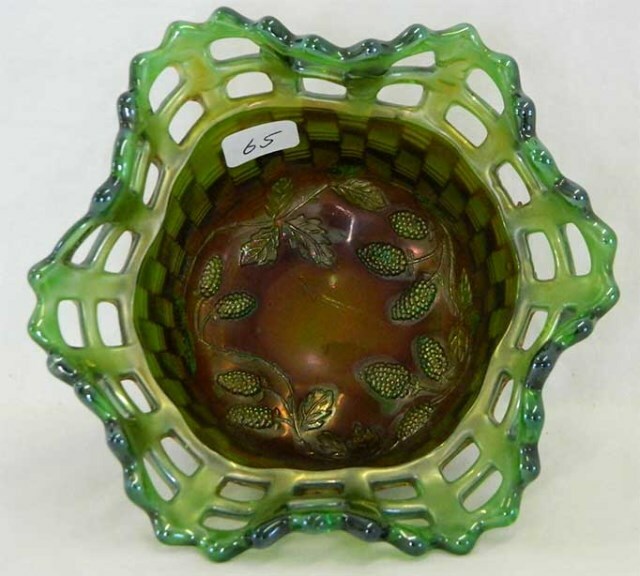 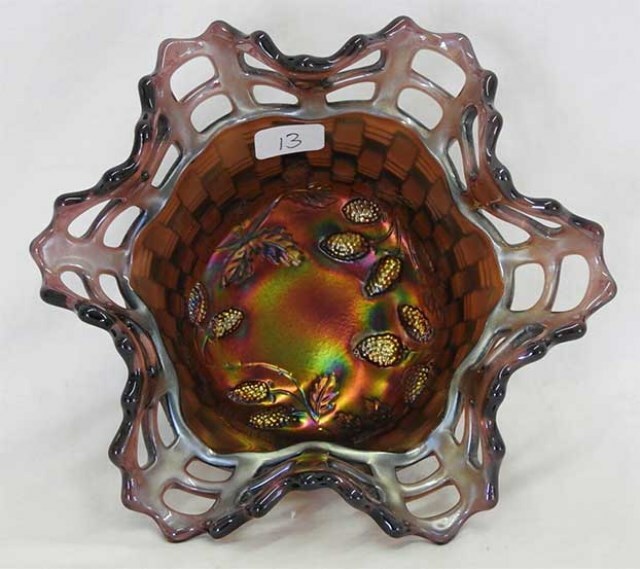 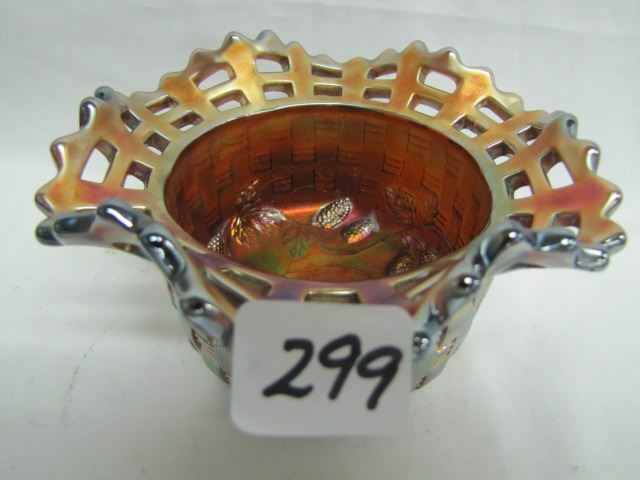 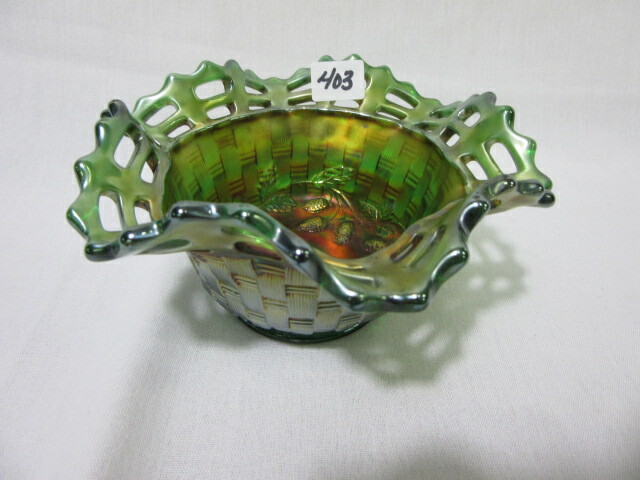 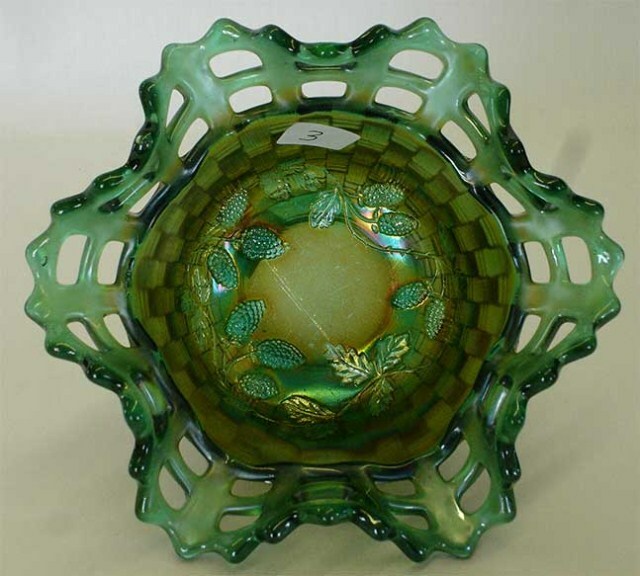 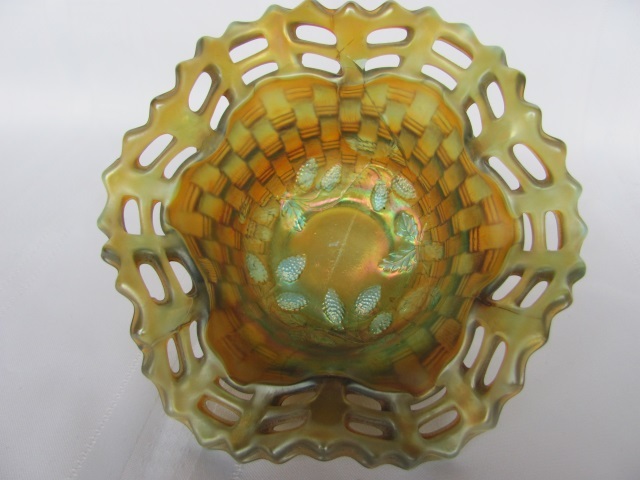 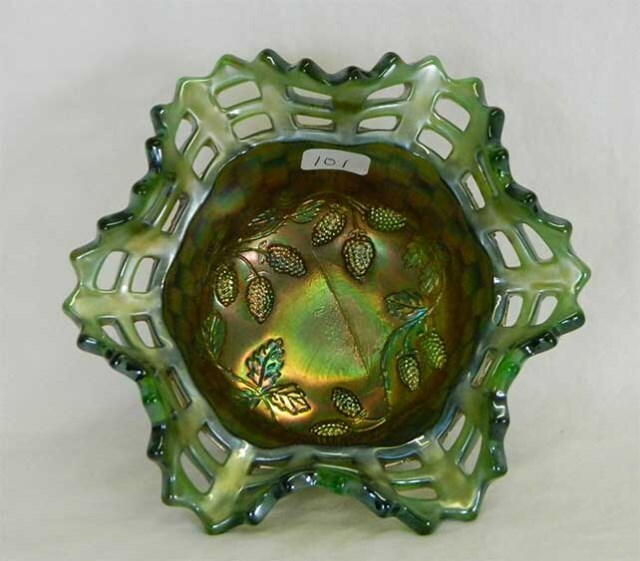 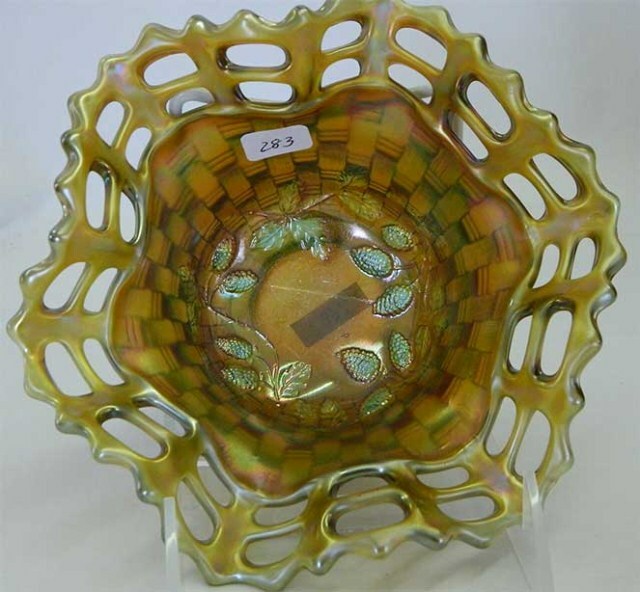 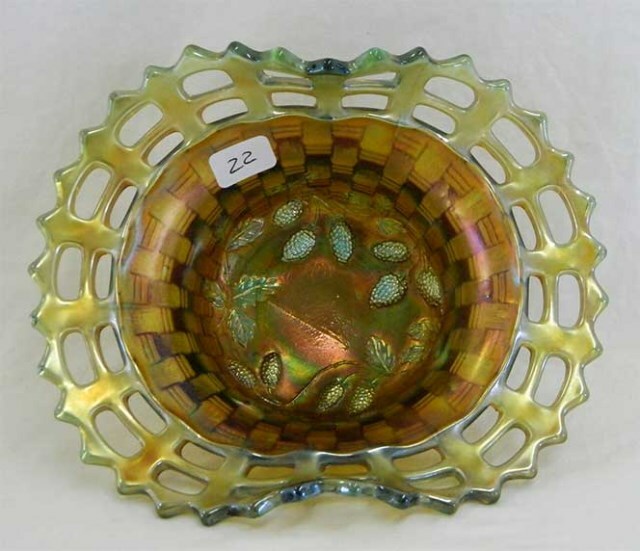 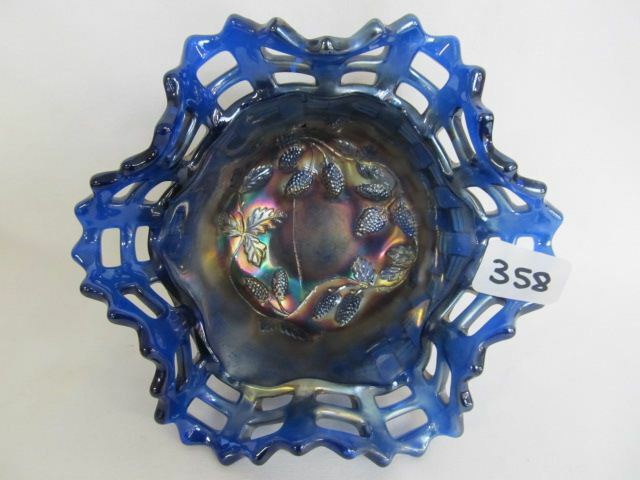 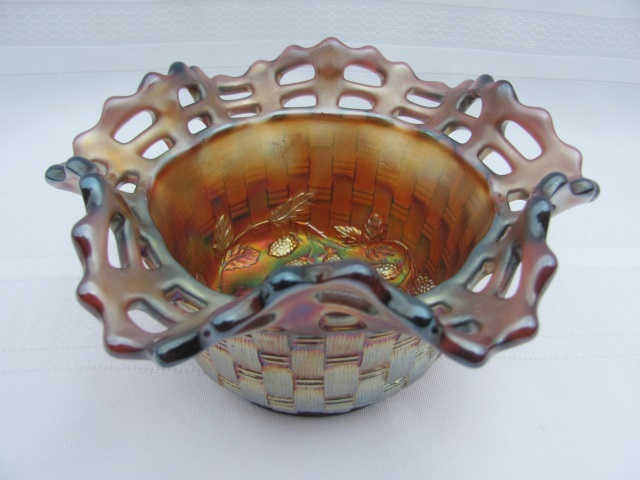 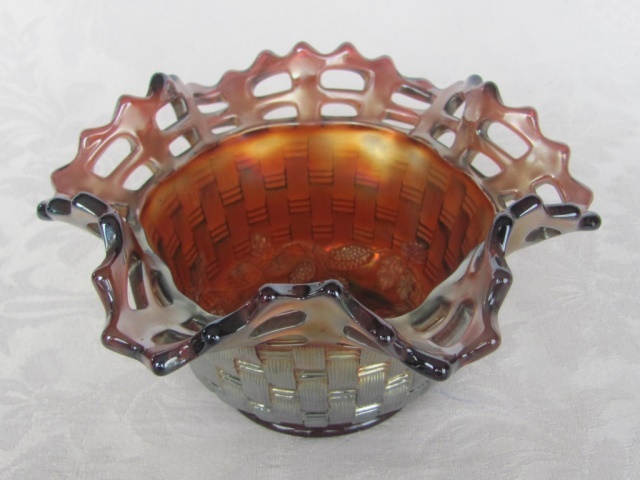 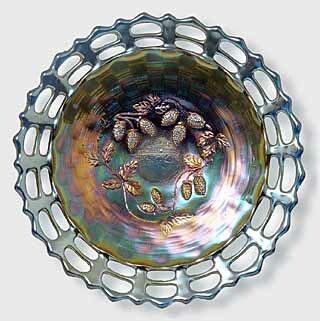 Similar to Fenton's Open Edge but slightly larger, this pattern has a blackberry design in the center of the interior. 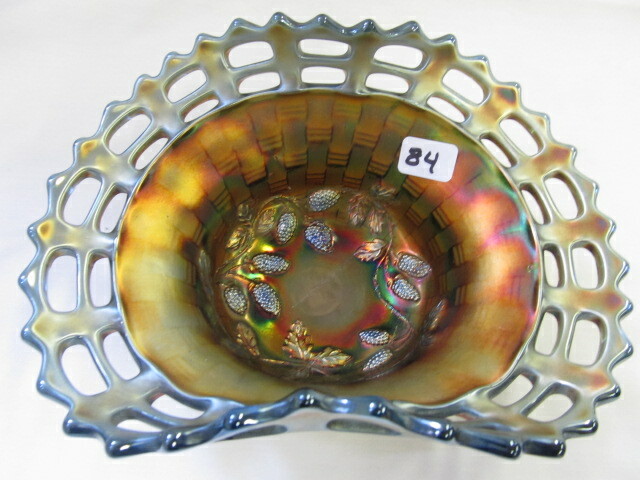 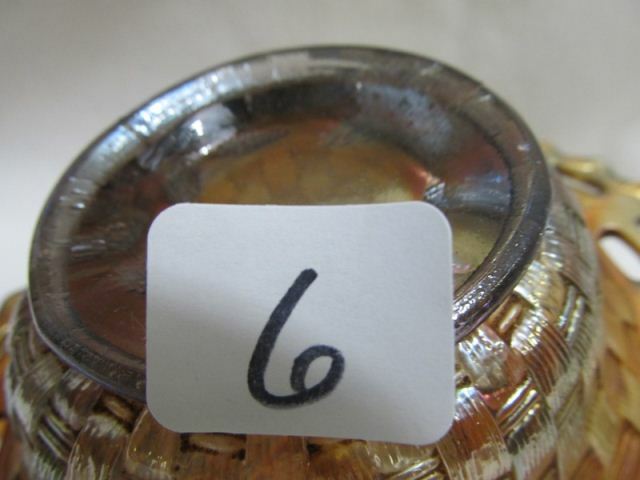 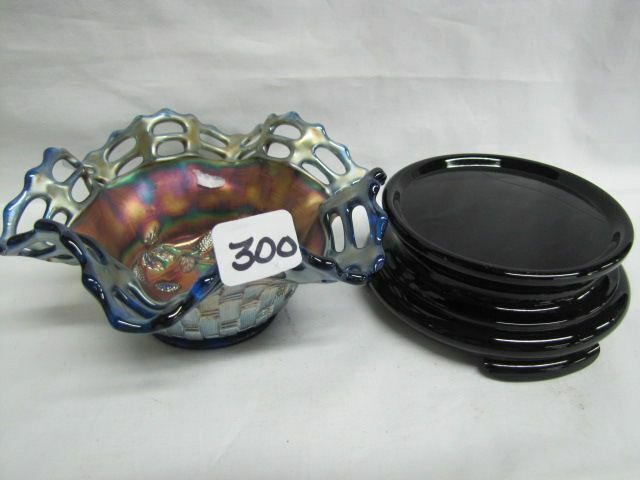 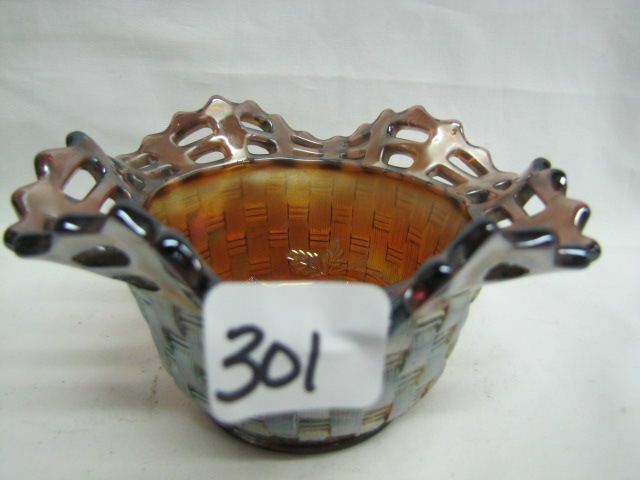 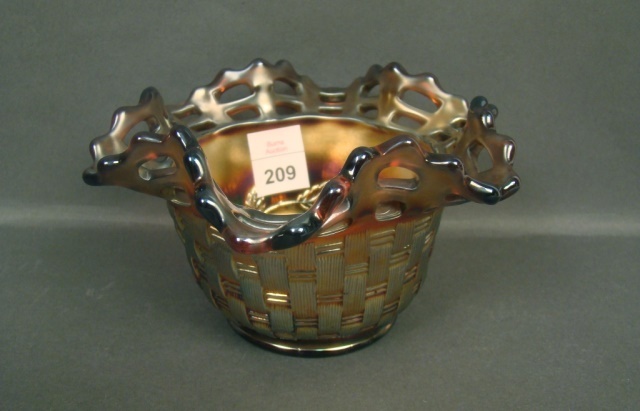 Like Open Edge, it has a basketweave exterior and is seen in a variety of baskets/hats, bowls, and an occasional plate. 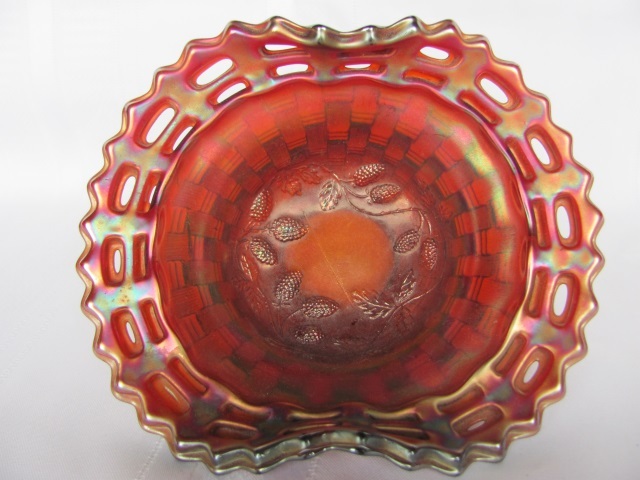 Red is a fairly common color in this pattern. 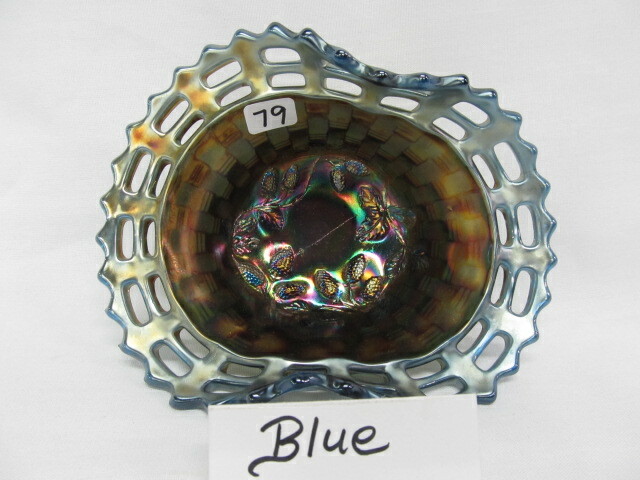 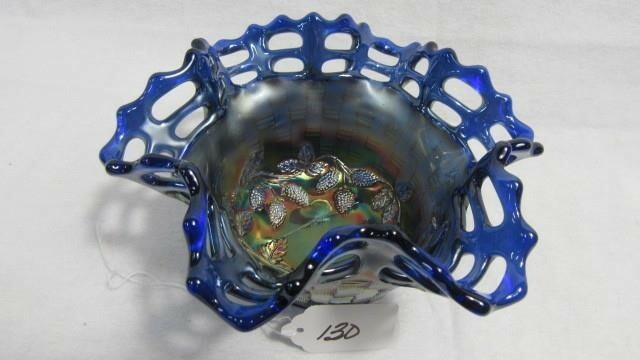 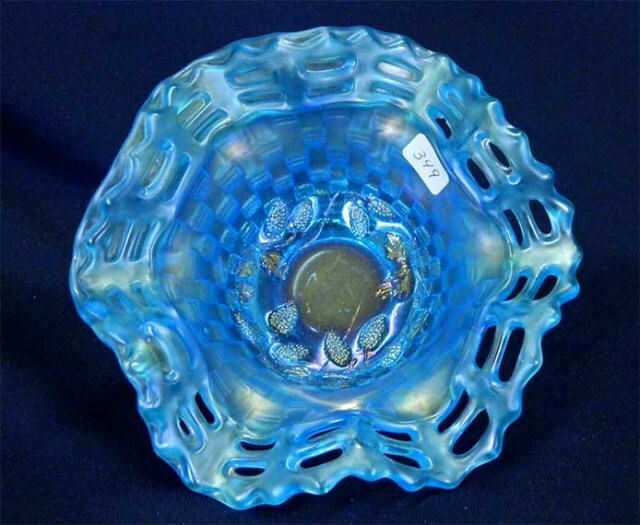 There are a handful of these vase whimsies, some in blue as shown here, some in marigold. 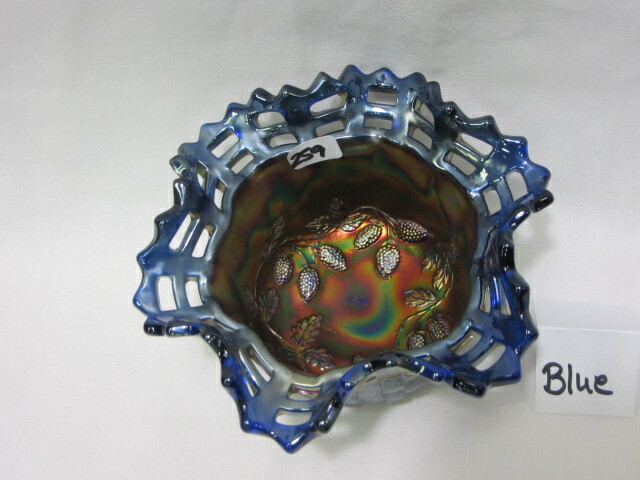 They are swung from the basket and have a 2 1/2 inch base diameter. 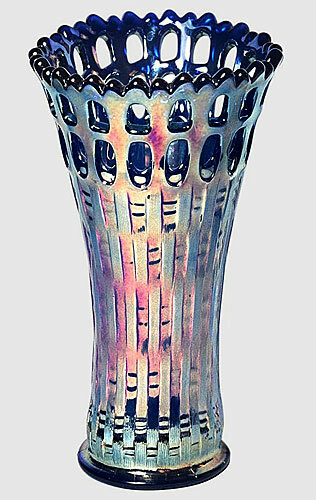 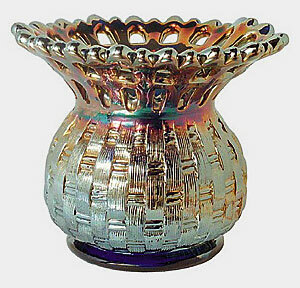 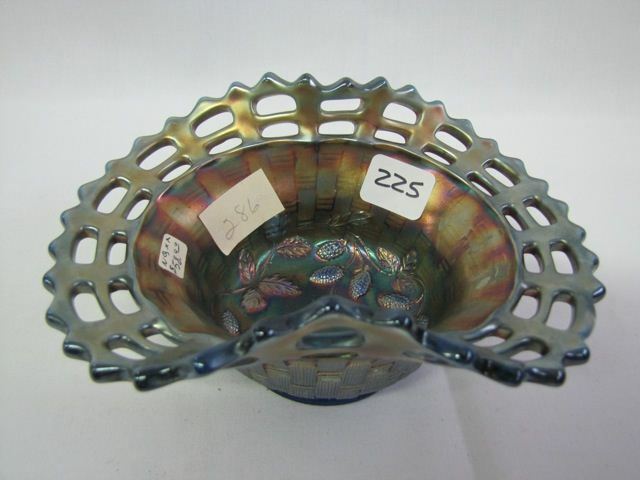 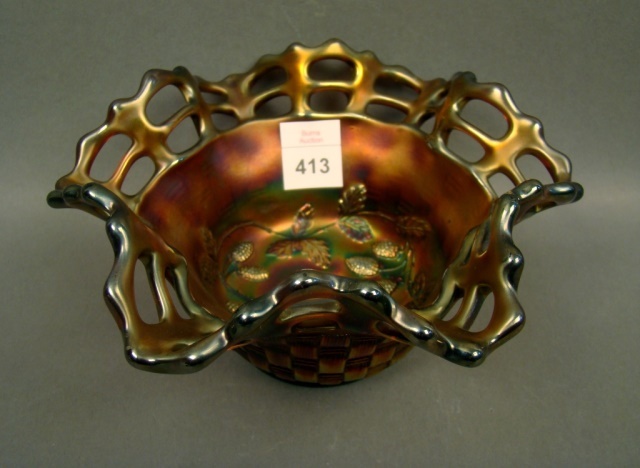 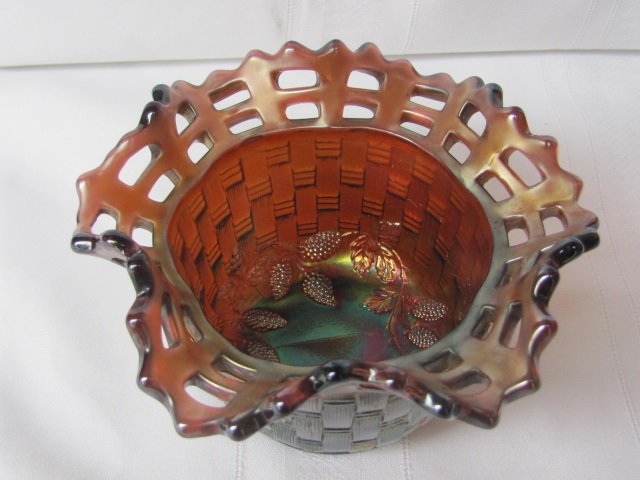 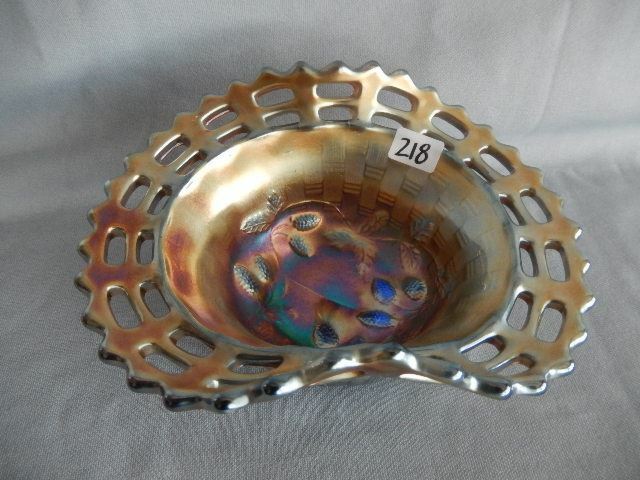 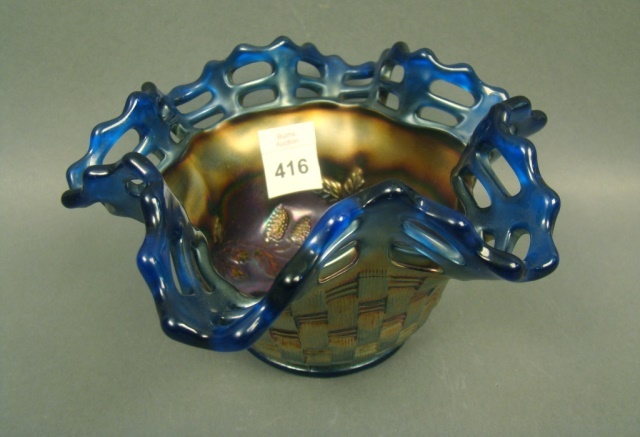 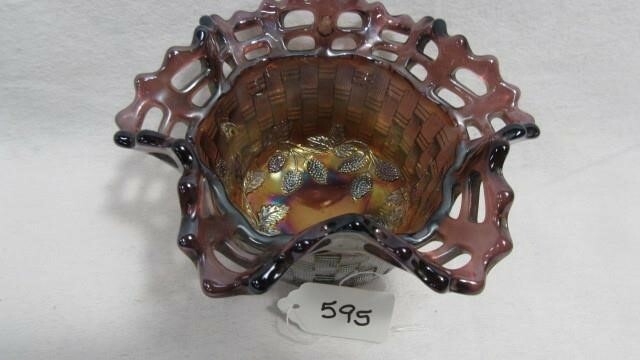 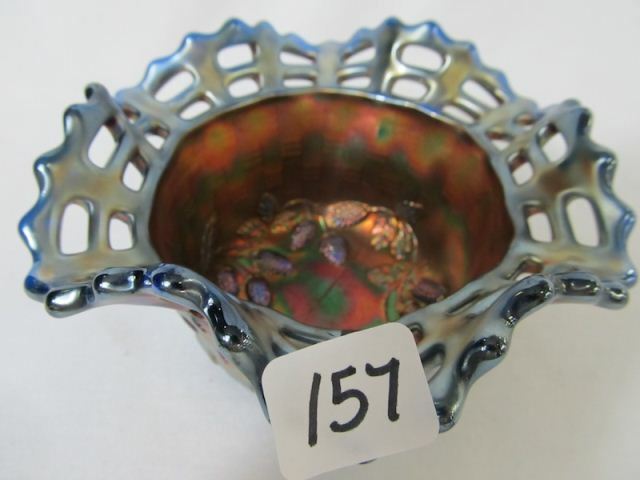 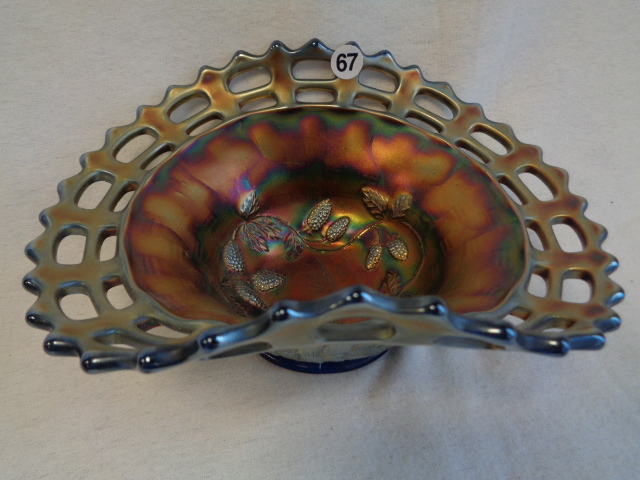 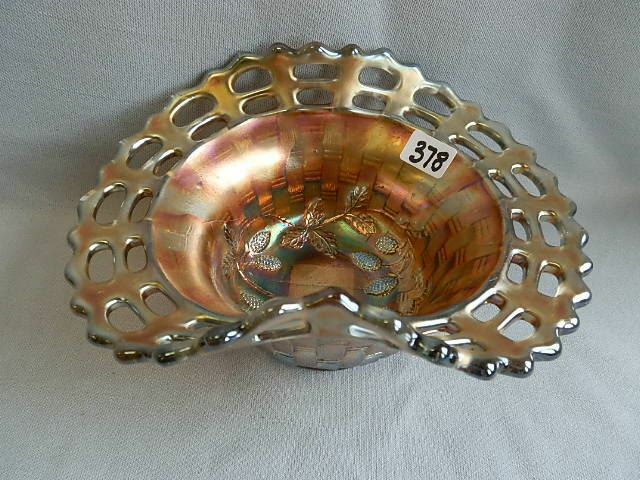 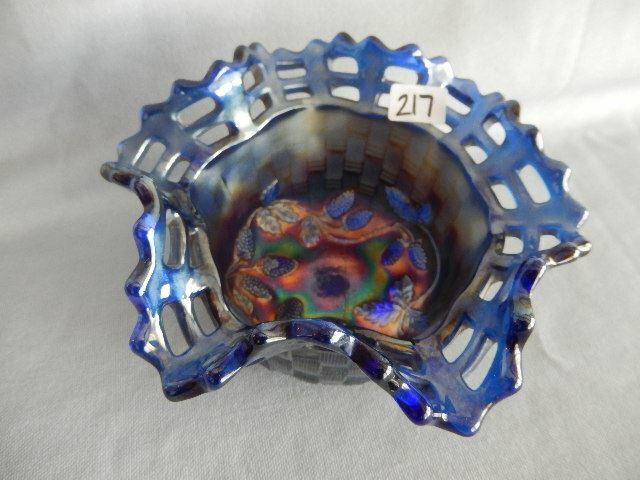 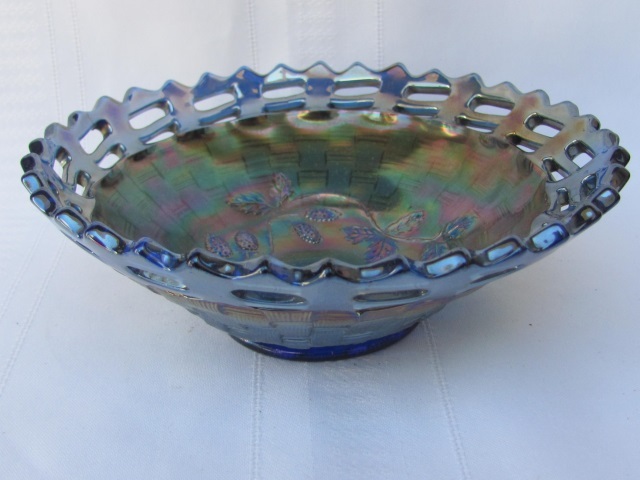 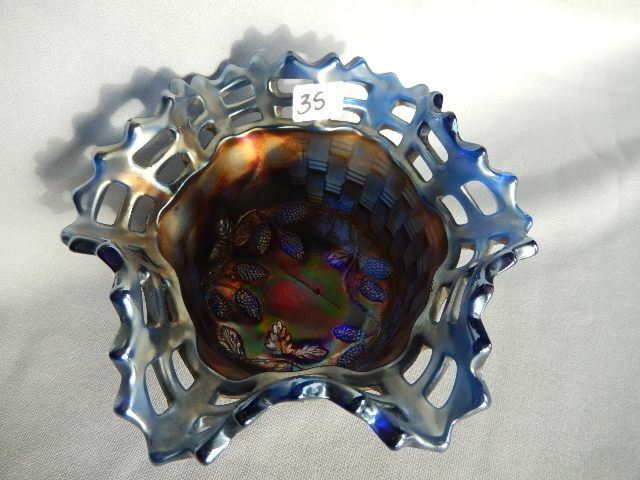 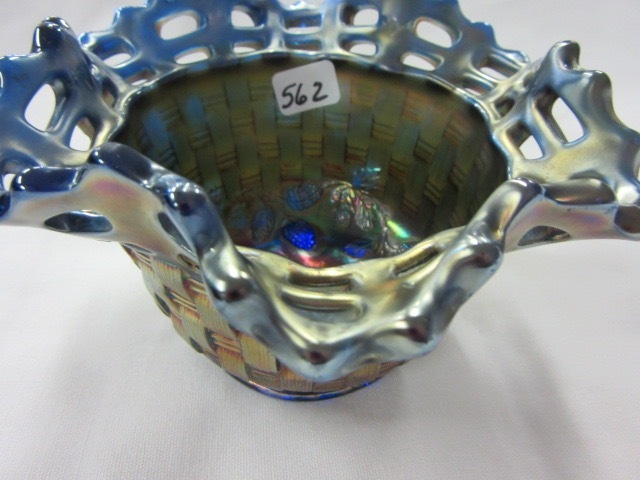 The spittoon, also in blue and made from a basket, is 4 1/4 inches across. 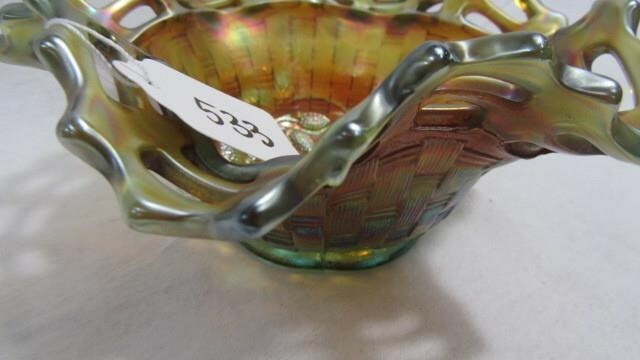 It's in a private collection. 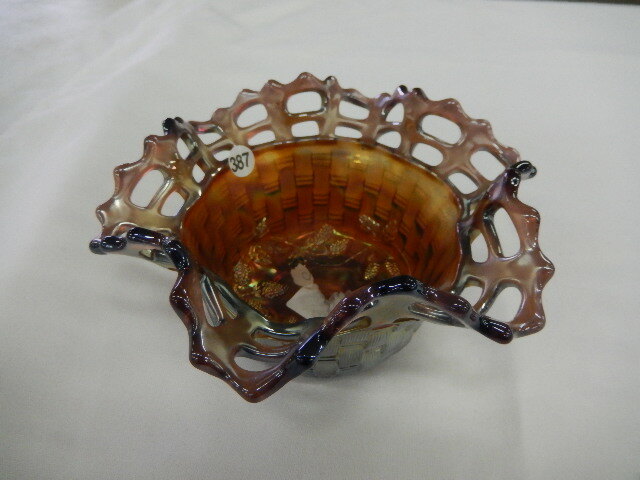 Another of these spittoons is known in marigold.